One of the newest elements added to The Alola Region in Pokemon Ultra Sun is the concept of Totem Stickers. These special stickers are scattered throughout the Alola Region, having been placed by the Trial Captains themselves. Some will be in plain sight as your travel through your journey, while others will be more obscure due to camera angles, items found in the wild, and even Pokemon on the field. 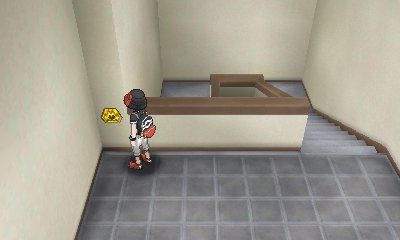 Much like the Zygarde Cells and Cores scattered throughout the region back in Pokemon Sun & Moon, it will be up to your player to find the 100 or so Totem Stickers. As you collect these stickers, you will be awarded certain Totem-Sized Pokemon from Samson Oak.